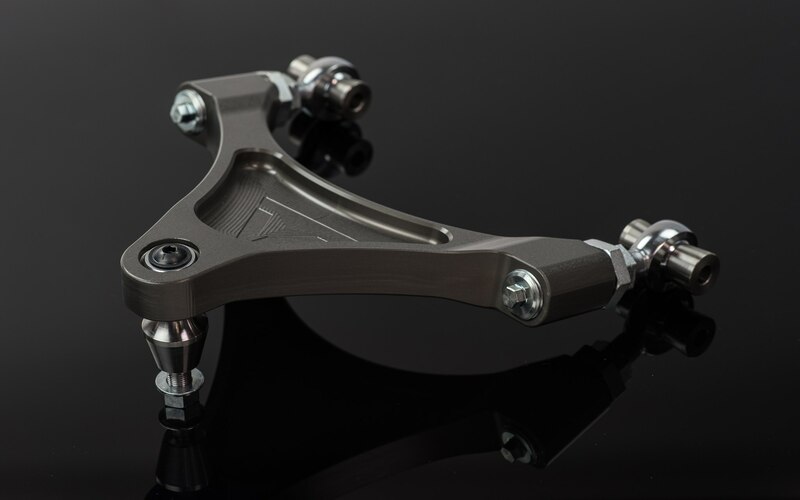 Voodoo13 dual adjustable front upper control arms for the 350z and G35 platform allow you to adjust front camber and caster without removing the arm from your vehicle. 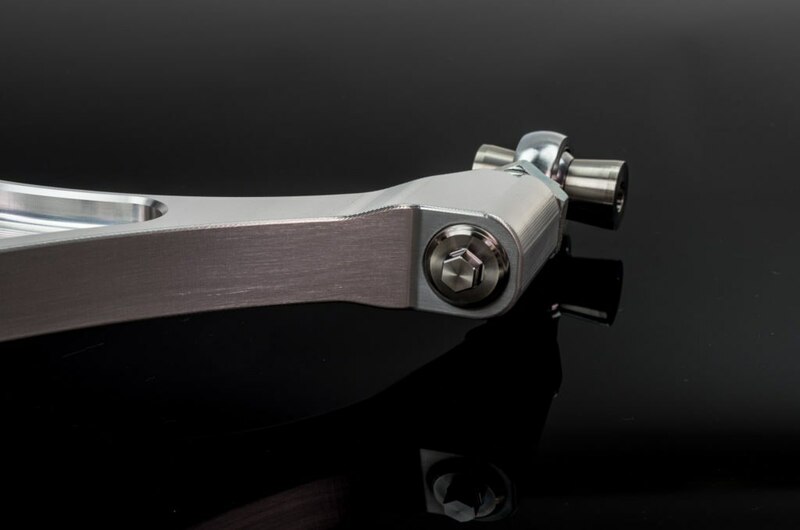 Our adjustment system is as simple as loosening the two locking nuts on the heim end and using a 10mm socket on the front adjuster to make your camber adjustment. 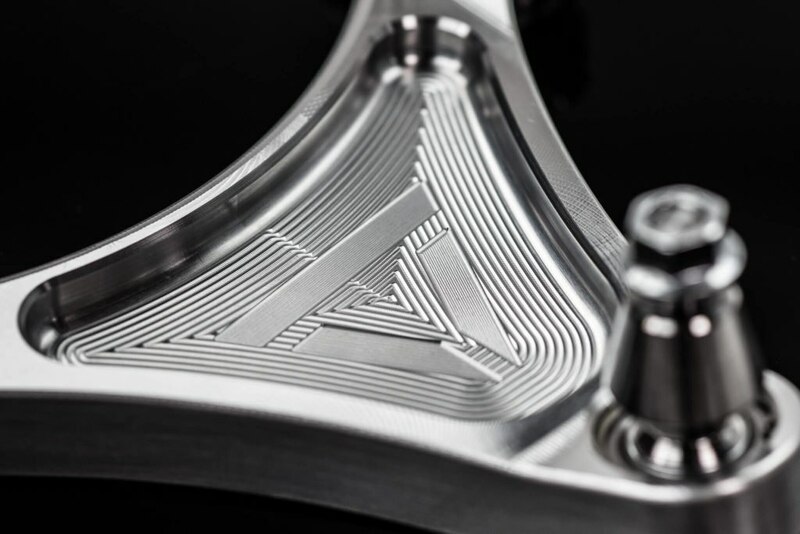 Adjust both sides evenly for camber. 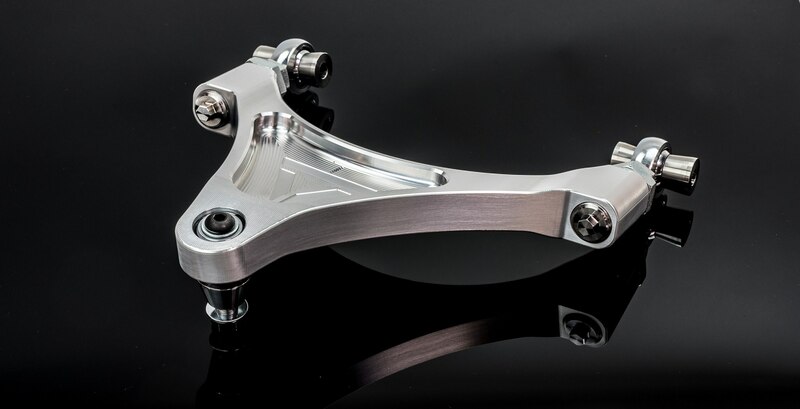 For caster adjustment, adjust either side of the heim end to meet your requirements. 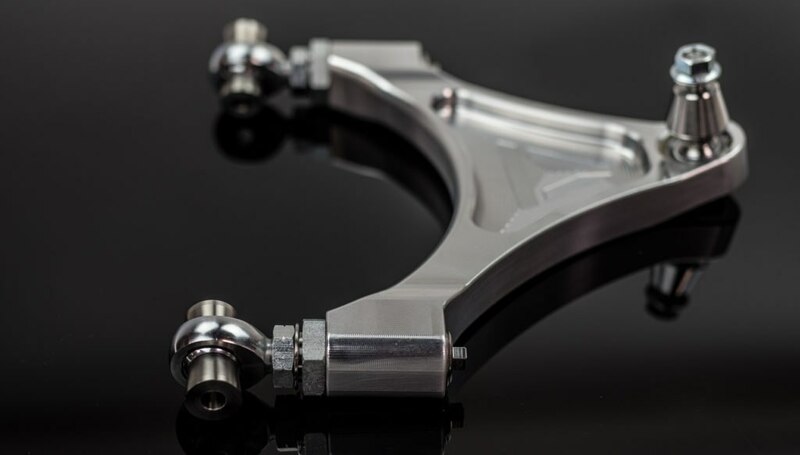 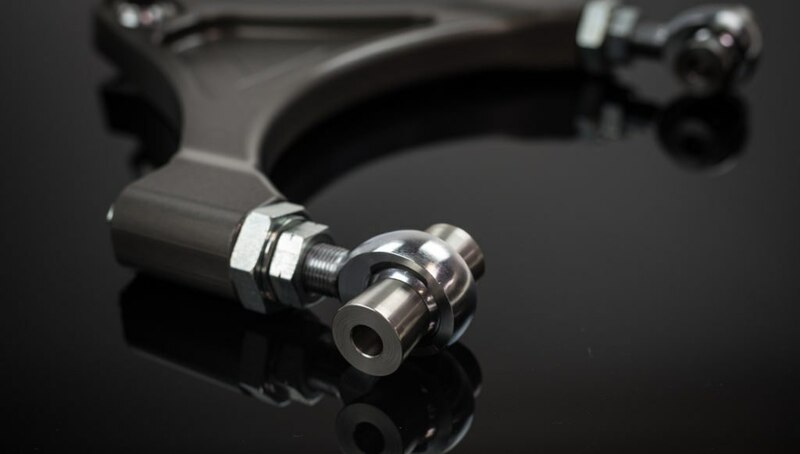 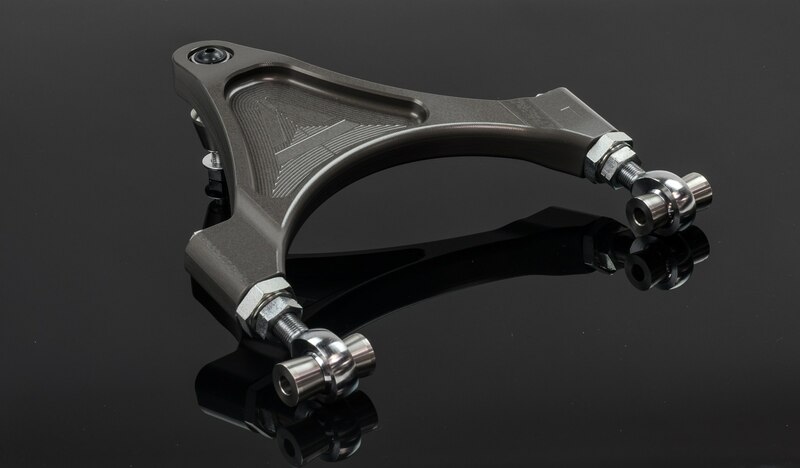 As you can see from the photos, our machining technique is top notch and we believe these are the best looking front upper control arms on the market and the easiest to adjust.